NIA CHARLESTOWN NEVIS (NOVEMBER 30, 2015) — Minister of Agriculture on Nevis Hon. 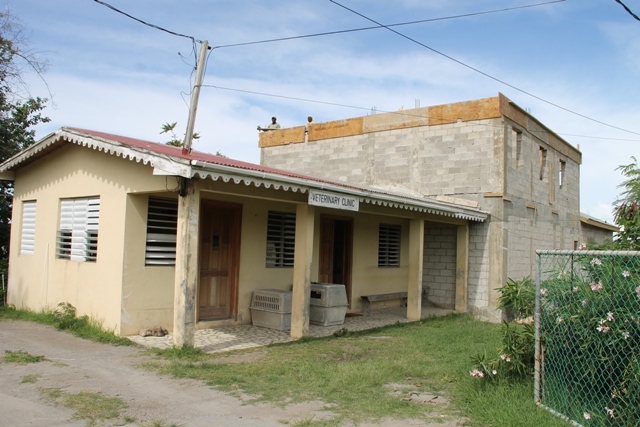 Alexis Jeffers expressed satisfaction with ongoing construction work on the expansion for the Veterinary Clinic at Prospect. 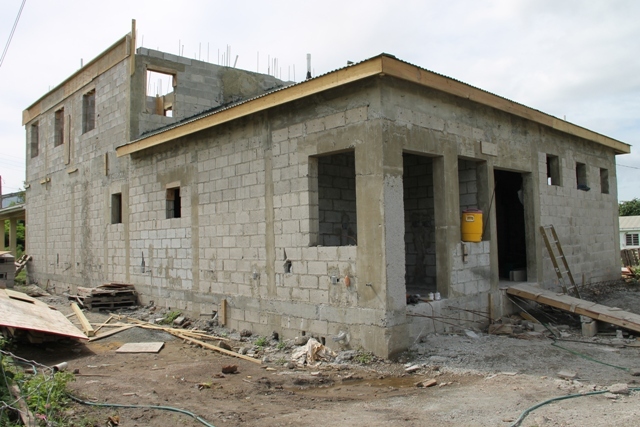 The project is managed by the Nevis Housing and Land Development Cooperation (NHLDC). Mr. Jeffers who is the Ministry of Agriculture and also the Chairman of the NHLDC Board of Directors, was on a recent tour of the project when he told the Department of Information he was pleased with the ongoing construction work. “We are happy to report that we are making significant progress. This is a development that was in the making for many, many years and we are happy that we are able to take on this project and bring it to reality,” he said. According to Minister Jeffers, the project commenced six months ago and is scheduled for completion in March 2016. He noted, that there is improvement in the management of livestock on the island and the new vet clinic would also serve the needs of livestock and pet owners. “When this facility is done, we won’t only service our livestock industry here on Nevis but also those pet lovers who have cats and dogs and are looking for a good service and optimum care. You would be able to get these services at the government-owned clinic. “So I believe this is a step in the right direction in terms of ensuring what we’re providing proper care for our animals here on the island of Nevis,” he said. On completion, the new wing of the Vet Clinic would be a two-floor building of about 2,800 square feet. It will house an x-ray room, a lab, operating room, a recovery room, a waiting area and office space. 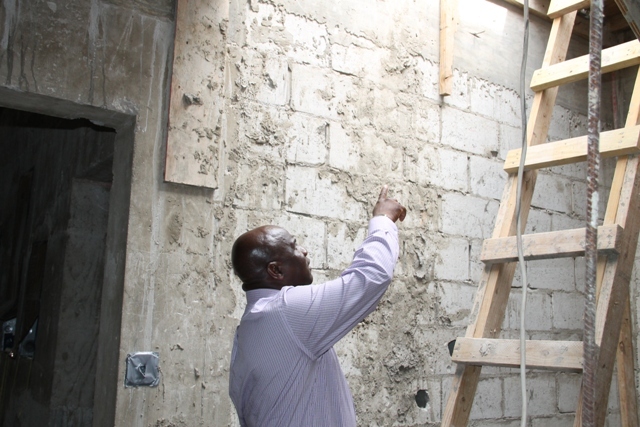 He said though no work has been done to the adjacent 40-year-old Vet Clinic, plans include its refurbishment on completion of the new wing. “No work has been done to the existing building as yet but the whole idea is to move the entire operation over to the new section once it is completed early next year then we will tackle that phase. “What will be involved here is the removal of those old aluminium windows, a new roof, power wash and repainted to have a complete finish in the end,” he said. Mr. Jeffers added that most of the building material in use on the project comes from the government-owned quarry which would help to keep the project within the project’s $750,000 budget.